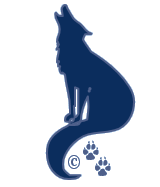 To ask a question, make a suggestion, share an idea and I’ll answer it here on Springwolf Reflections. I need to write something new for Reflections. With a million ideas, I’m not sure what I want to do. So I decided to ask you guys, what would you like to read about this week? Leave me your ideas in the comment section and we can inspire each other over the weekend!